Fenerbahce are reportedly keen on securing the signature of Danny Drinkwater from Chelsea after previously luring Victor Moses from the west London side. 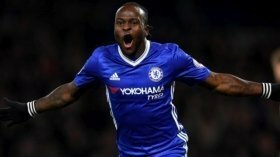 Moses had barely featured for the Blues during the first half of the season and he was recently loaned out to the Istanbul outfit until the summer of 2020. According to The Mail, Fener are keen to follow up Moses' signing with another recruitment from the Blues with Drinkwater on their wishlist of preferred targets. Drinkwater has not featured for the Blues since the Community Shield back in August and Sarri has previously indicated that the midfielder has not shown sufficient progress in training to warrant a first-team role. The England international has previously been linked with the likes of West Ham United and ex-club Leicester City but neither have made an approach to sign him in the current transfer window. Aside from Drinkwater, Davide Zappacosta has also been associated with a move away from the Bridge with Lazio keen on securing a loan move for his services.